Favoured by professional players, Diamond tables are used by the world's leading events, such as the Mosconi Cup and World Cup of Pool. Available exclusively from Home Leisure Direct in the UK. All Diamond pool tables come with free delivery and installation. Diamond Pool Tables are used in some of the most prestigious competitions in the world, including the World Cup of Pool and the Mosconi Cup. The Mosconi Cup takes place every year and pits the very best of European and American pool players against each other for the ultimate nine-ball pool trophy. The World Cup of Pool is also an annual competition, in which doubles teams compete in nine-ball pool and represent their countries. In both competitions, Diamond Billiards tables are used as they are simply the best for play and build quality. True tournament professionals use Diamond Billiards tables for their tournaments, proving these really are some of the very best tables in the world and unparalleled amongst pool table manufacturers. 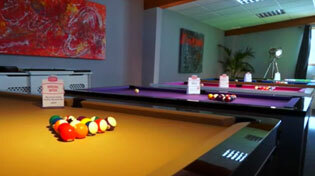 Diamond Billiards pool tables are exclusive to Home Leisure Direct in the UK. We are extremely proud to be able to offer these stunning pool tables, which look amazing and provide professional quality playability. For American Pool, Diamond tables make a superb choice.